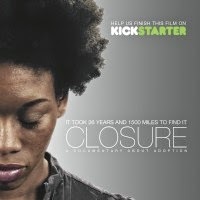 I recently had the chance to interview Bryan and Angela Tucker from the documentary, Closure. The interview is in this month's issue of Adoptive Families magazine, and it's also posted on their website. Check out the interview here, and also check out my review of the documentary!